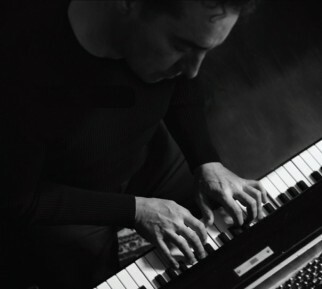 Alex Bugnon has created one of the most recognized styles in today’s contemporary jazz piano. It is a sultry mixture of contemporary jazz, funk, and R&B with hints of gospel. Even the titles of his CDs create anticipation for a musical experience that is delivered with passion. His latest album, “Free,” reunites him with Atlanta based keyboardist and producer Phil Davis. After recording “Free” and his last album, “Southern Living,” in Atlanta, Bugnon calls this city his second musical home. “Free,” is a refreshing blend of exotic rhythms with haunting, soulful melodies and the signature Alex Bugnon piano sound. Growing up in Montreux, Switzerland, the home of the Montreux Jazz Festival, Bugnon started playing classical piano at age six. Guided by his father, a jazz guitarist and classical opera singer, Bugnon acquired a love for a wide range of music from Scott Joplin, Thelonious Monk, and Bill Evans to Herbie Hancock, McCoy Tyner, and Joe Sample. Once a year for an entire month, Montreux becomes the crossroads of the musical world, and Bugnon went to his first concert at age seven to see none other than Aretha Franklin! He studied at the Paris Conservatory and the famous Mozart Academy in Salzburg, Austria. At age nineteen, he moved to the U.S. and attended the Berklee School of Music. While a student at Berklee, he performed with local bands at clubs in and around the Boston area. During that period, he also performed in church with many gospel groups. In 1985 he moved to New York where he spent four years working as a session musician and touring with urban and jazz luminaries such as Patti Austin, Freddie Jackson, James Ingram, Earth Wind and Fire, and Keith Sweat.